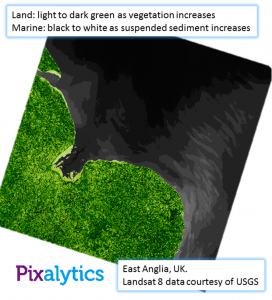 Agri-tech has long been seen as an exploitable opportunity for Earth Observation (EO). This was highlighted again last week by Greg Clark MP, the Business Secretary, at his speech at the National Farmers’ Union Conference in Birmingham where he announced a £90 million investment in the agri-tech sector specifically relating to EO, Artificial Intelligence and Robotics. A definition of agri-tech can be the use of technology to improve agriculture production in terms of yield, efficiency and profitability. Despite all the innovations we’ve had in farming, according to the United Nations, there is still one in nine people in the the world undernourished. In addition, UNESCO estimates that with the growing global population we’ll need sixty percent more food produced by 2050. Innovative and news ways of working within food production are going to be vital to deliver this level of increase. However, it’s a complex issue. Other critical factors include water demand from agriculture that is already expected to rise by 20% in the coming years, and the agriculture sector is also the largest employer in the world with almost forty percent of the world’s population dependent on it for their livelihoods. The Government announcement last week recognised the importance of the agriculture industry within this country, as the sector employs four million people and provides £14.3 billion to the national economy. However, we were a little surprised to read that there are half a million jobs solely working in agri-tech in the UK. The money announced is part of the Industrial Strategy Challenge Fund that was established last year to provide £4.7 billion for research and development to support the Government’s Industrial Strategy. It has a number of challenges and this one is part of Transforming Food Production: From Farm to Fork. Further details are expected, but they have indicated they’re looking to make food production more efficient, productive and sustainable, as well as bringing highly skilled jobs to rural areas and develop some of the exports the UK is likely to need post Brexit. EO, Artificial Intelligence and Robotics all offer huge possibilities in this area, not only in the food production but also in reducing pollution, waste and land management. For us the EO area is very exciting, and we’ve been involved in the sector for some time. 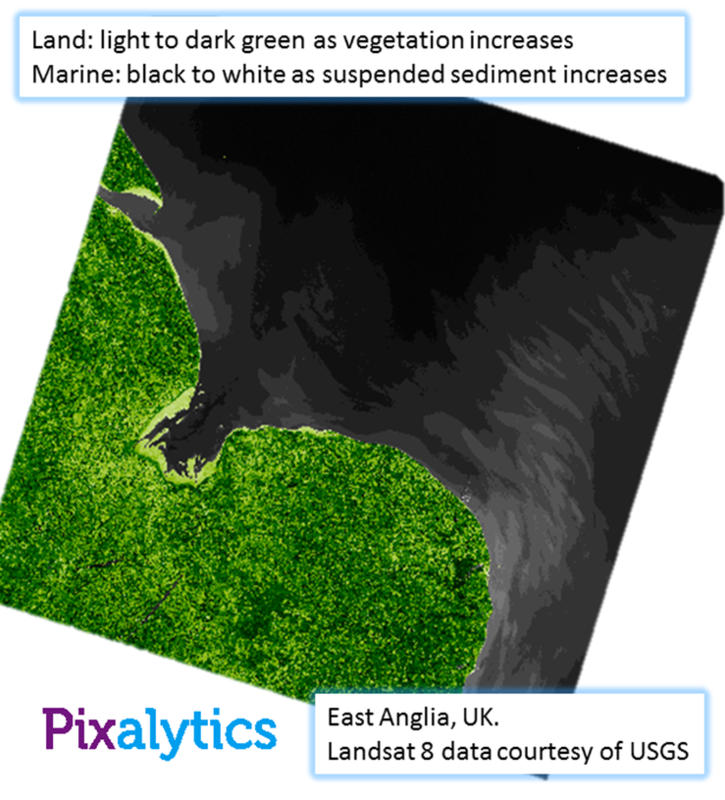 Pixalytics is currently involved in a project in Uganda to support farmers on Drought and Flood Mitigation, and this week Sam is in South America kicking off a project directly supporting rice and palm oil growers. In addition locally to us, Cornwall has an active agri-tech hub helping small and medium-sized Cornish companies innovate in this sector with support from various academic institutes including Plymouth University who through its Sustainable Earth Institute have projects including robotic systems for automating manual picking operations, developing the manufacture and analysis of artificial soils and the expansion of hydroponic growing environments. We’ll be keeping an eye on the next stage in this challenge, as we’re always looking for new EO projects and opportunities within agri-tech. If the Government is serious about its stated ambition to put the country at the forefront of this revolution, there should be exciting times ahead. This entry was posted in Business Innovation, Data, Earth Observation, Growth, Remote Sensing, Satellite, Space Industry, UK Space Industry and tagged agri-tech, Agri-Tech Cornwall, agriculture, Agritech, AI, artificial intelligence, Business Secretary, Earth Observation, EO, food, food security, Greg Clark, hunger, Industrial Strategy, National Farmers Union, robotics, sustainability, Sustainable Earth Institute, Transforming Food Production, UK by Andy. Bookmark the permalink.